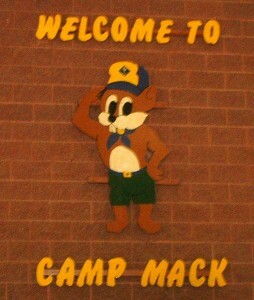 Happy Birthday Mack will be the theme in 2019 saluting the 50th season of Scouting at J. Edward Mack Scout Reservation. Save the date Saturday, Aug. 17, 2019, for Mack’s 50th birthday party and open house hosted by the Pennsylvania Dutch Council BSA. Organizers are planning to offer a meal that day as well as promote the groundbreaking ceremony for construction of Mack’s new swimming pool. Alumni staffers are being contacted and invited to attend, and collectors are being contacted and invited to display their Mack memorabilia. Organizers of the event have a cubic-foot time capsule that will be packed with past and present Scouting treasures. They plan to bury the waterproof container at Mack and entrust it to future generations of Scouts. Look for infomation about Mack’s five decades of operation on Mack’s Facebook page, the council website and during upcoming district events such as Round Tables and Klondikes. To volunteer as a member of one of the organizing committees, please contact Randy Wirth, Vice President of Program, Pennsylvania Dutch Council, at Woodbadge15@comcast.net. Right after you save the date to attend the 50th anniversary celebration of J. Edward Mack Scout Reservation on Saturday, Aug. 17, 2019, please consider sharing a memory and/or a photo or video. Your contribution affirming the Scout Oath and Law can be a single sentence saluting Camp Mack, the snapshot of you and a buddy, or a hair-on-fire camp adventure captured on video. What you share is your chance to be part of Camp Mack’s Facebook page, Pennsylvania Dutch Council’s Facebook page and council’s Scouter Focus. It’s your chance to be included in the time capsule that will be sealed and buried as part of the 50-year observance. Did You Know? J. Edward Mack joined Scouting in 1914 and earned the first Eagle Scout Award in Lancaster County in 1917. 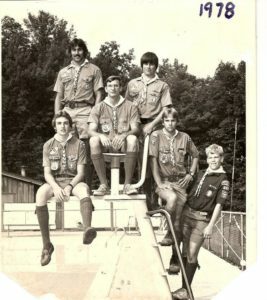 Fun Fact: Hot embers used to the light the fire at Camp Mack’s dedication ceremony in 1968 were carried by Scouts running a relay from Camp Chiquetan south of Millersville to the council’s new property north of Brickerville. The Pennsylvania Dutch Council website will be where longer written pieces will appear. For example, interviews have been completed with those Scouters who witnessed recent events and those who recall tales from more than 50 years ago. More interviews are planned. There is to limit on what can be posted online. Imagine 3 paragraphs introducing a post and a link to the full story.